Instant Cash for Cars Auckland | Sell My Car Fast for More! We pay top cash for cars in any condition. We want those cars that nobody else will touch. Have super high mileage, have been in a wreck, engine or transmission problems? These are all no worries. We want your car and we are willing to pay cash for cars. Will buy your vehicle in any condition and it is super easy for you. Are you moving and don’t have time to bother selling your car? We will give you cash today! Car quit on the side of the highway, no worries, we can come and pick it up for free and even give you cash. How awesome is that? We want your scrap cars, damaged cars, deregistered cars, we are looking for cars in any condition and we want to buy them today. Getting rid of your old car and in return getting cash in your hand for something new. We work with everything as well, cars, trucks, 4×4, SUV’s we take them all and give you cash. If you have a car you’re tired of looking at, give us a call. We are happy to take cars in any condition. This is the fastest and easiest way to get cash in your hand today. The Easiest Way to Make Money! The process is pretty simple. Give us a call and we’ll give you a quote on what we can offer. If you accept, we will come out and haul away that junk car for free and give you cash. You don’t have to take pictures to post on the internet, have people show up and not want it. Waste time with phone calls and answering questions. Simple operation that just wants to buy junk cars. It is really that simple. Any Car in any Condition! We are the Cash for Cars Auckland specialist. Will take any make, year and model car and give you cash. The amount of cash depends on a few factors such as year, make and model as well as location. Trust us an Auckland Cash for cars to give you the best value for your car and we tow it for free. This service is easy for our customers to get some quick cash and get rid of something they aren’t using. Cash for cars is a simple process that can be done on the very same day. With us, you are working directly with the actual buyer. This is why we can offer higher prices for your car than the other guys. 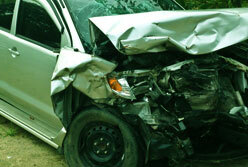 Getting the most out of your junk car is critical. Selling a junk car can be a real headache but not anymore. We offer a service that certainly takes the pain out. You no longer have to wait on unreliable buyers. Give us a call today! Cash My Car is the largest cash for cars dealer in Auckland. 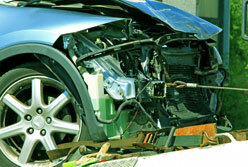 As we are the car wrecking company and do all the dismantling ourselves so don’t resell your vehicle or scrap car onto other wreckers. This means we can guarantee you get a premium cash price for your car. No one else takes a cut which means more money in your pocket. We also have a large network of retail customers and purchase thousands of vehicle every month. This demand also increases how much we can pay you. You get more cash and a better service, guaranteed! 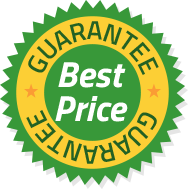 Fill out our instant quote form and enter just a few quick details (takes less than 30 seconds) and receive a top price, instant cash offer right away. If you are happy with your cash for cars offer then we can arrange a time to collect your vehicle for free. We offer same day pick up and cash on the spot! We will pay you cash on the spot the moment we collect your car. It couldn’t be quicker or easier to sell your unwanted vehicle and get paid top dollar. 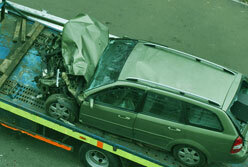 We have multiple tow trucks running in the Auckland region and provide a free car collection service. We can pick up your car on the same day you get in touch. We don’t just buy certain types of unwanted vehicles. Because of our large retail buyer network, we pay top cash for cars prices for all makes and models. If your car has been written off or doesn’t run anymore or is in pieces don’t throw it away. You might be surprised at how much it’s actually worth!